Calgary Flames in Montreal or Quebec City? Inform me about the next events for Calgary Flames. 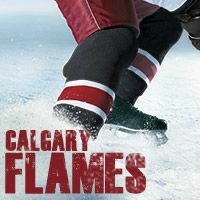 Enroll yourself to our priority waiting list for Calgary Flames to be alerted when new tickets are available. Filling this form doesn't engage you to any purchase. The Calgary Flames are on a mission this year... and they will not miss the playoffs ! After surprising many experts and fans last season with an unexpected playoffs run, Bob Hartley's team will be seeking to perform even better this year. Don't miss the exciting hockey action at the Scotiabank Saddledome in Calgary!